HARMAN’s JBL VTX and VERTEC line arrays, and Crown I-Tech HD amplifiers, were particularly in demand this summer at festivals throughout Hungary. 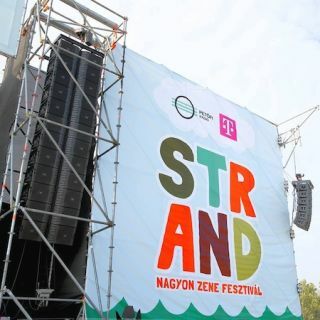 For celebrations large and small, held indoors and outside and with audiences up to 30,000 people, JBL was the top choice for MEDIA EVENT Ltd., one of Hungary’s largest event producers. The system was recommended and supplied by Zsolt Szarvas of MS-Rent (Microsound Ltd. Division), a European dry hire PA rental company. MS-Rent has been a long term partner of JBL for over nine years and invested heavily in the new VTX V25 system around a year ago in order to meet the increasing demand and requests from the wide variety of international touring artists visiting Hungary.